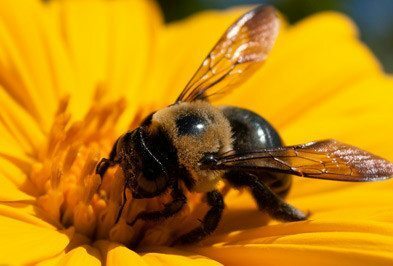 There are several different species of bees. Typically, they are considered beneficial insects as they are pollinators of flowers and plants. They build their nests in trees, thick grass, or shrubs. 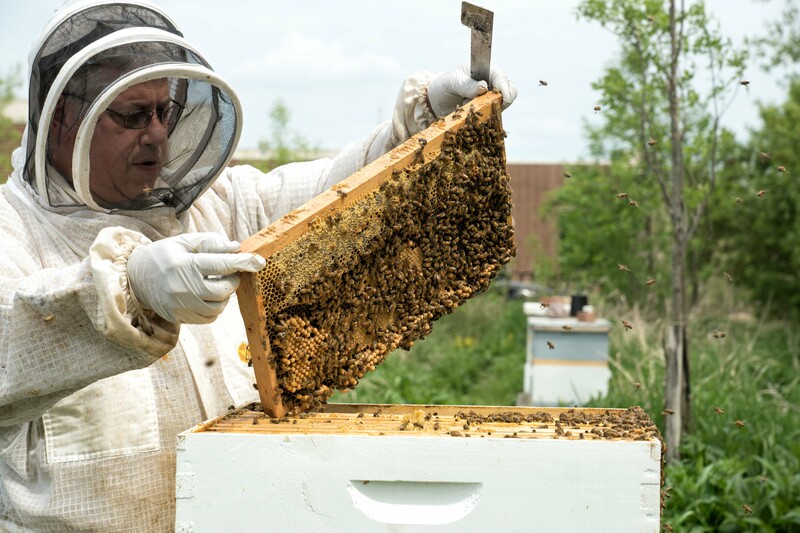 Bees belong to the family Hymenoptera and are just a few of the stinging insects you can expect to come across throughout Wisconsin during mid-late summer. Honey Bees – are about 1/2 an inch to 5/8 of an inch long and are banded with orange and brown or black and are mostly covered with pale hairs, especially on their thorax. They possess a barbed stinger which is lost in the victim when the victim is stung. Bumblebees – measure from 1/2 to 1 inch long and are more full-bodied than honey bees. They have an overall ‘fuzzy’ appearance on the top of their abdomen and have broad bands of yellow and black. They also possess a barbed stinger, but they keep it when they sting their victim. 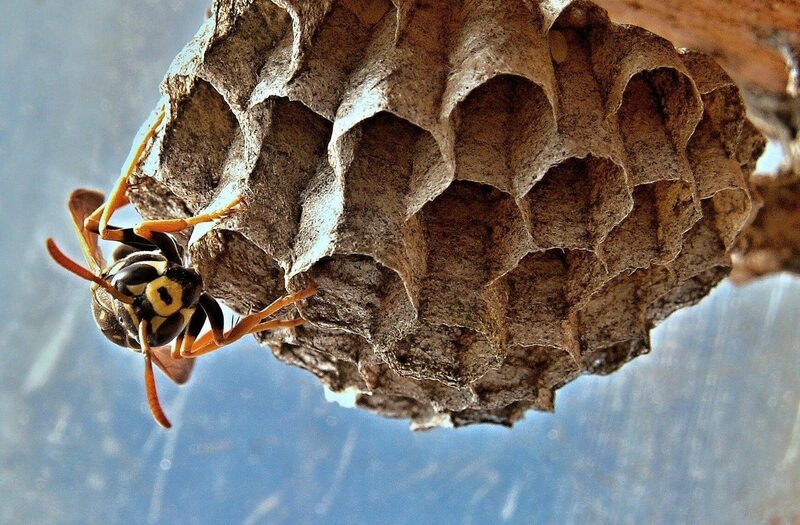 There is really no specific reason you may have a bee nest on your property other than these insects are opportunistic builders and have found a safe haven to create their nest in your backyard. They may be attracted to your flower or vegetable garden as well, but you can still find a population of these insects in areas without obvious attractants. 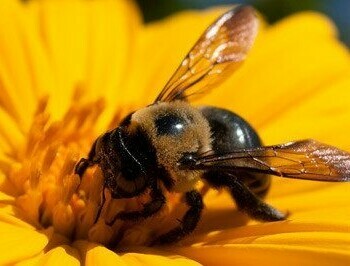 Inherently no, bees are primarily beneficial insects and are not aggressive. They will only sting if their lives or nest are in danger. When people say they are “stung by a bee” it is generally a wasp or hornet. However, some of these insects do have the capability to sting repeatedly, which can cause severe allergic reactions as well as Anaphylaxis in some people. You may also not know you have an allergy to these insects until you get a multitude of stings, which may cause serious swelling, redness, pain and eventually shock. Because bees are beneficial insects, Wil-Kil recommends you work with a local beekeeper to relocate a nest rather than eliminate it. If there is imminent risk to you and your family or friends, Wil-Kil Pest Control can provide bee control services to preserve the safety of you and your family. Never try to eliminate a nest on your own, you can put yourself and/or your family in serious danger. A pest control professional in Wisconsin is the best way to get rid of bees because of their access to the tools and the knowledge needed to ensure they are removed from your property safely and without harm to you or your family. No. Getting rid of bees is not a task you should handle on your own. Do-It-Yourself methods tend to be less effective, and, if handled incorrectly, can be very dangerous. The best and safest way for both you and the bees is to contact the professionals at Wil-Kil Pest Control in Eau Claire, Menomonee Falls, Appleton or Milwaukee. It is our goal at Wil-Kil Pest Control to assist you with your pest problem as quickly as possible so that you are caused no inconvenience. We want to make sure that your bee problem is taken care of swiftly and safely and because of that, we will make every effort to be on your property to take care of your problem within the same day you call, or the very next day. Unfortunately, there is very little you can do to avoid bees building their nests on your property. They build their nests randomly and there are no fool-proof deterrents to keep these insects from returning to your property. As soon as you become aware of a bee nest, the best thing you can do is contact us, your local Milwaukee pest control professional, for immediate assistance for nest removal. National Pollinator Week: Plant These and Help the Bees!